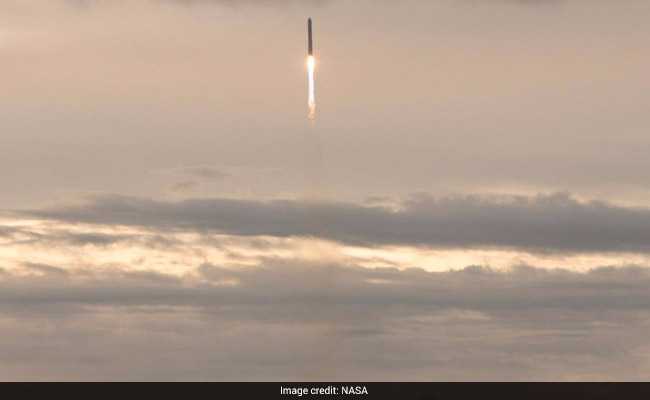 Orbital ATK, the Dulles, Virginia-based company, said that it "successfully launched its AntaresTM rocket carrying a CygnusTM spacecraft" at 7:19 a.m. Sunday from the Wallops facility. The Wallops facility is on the Atlantic Ocean, on Virginia's Eastern Shore. A rocket was launched Sunday from Virginia with cargo including pizza and ice cream. An ice cream truck was launched into space Sunday morning from Virginia. That may be a slightly distorted description of the resupply craft for the International Space Station that departed from the NASA facility on Wallops Island. But one of the astronauts on board the station did post a tweet that said, in part, "Pizza and ice cream on the way!" Astronaut Joseph Acaba said those on the station were "eagerly awaiting the arrival" of the Cygnus cargo spacecraft. In addition to the treats, the craft, he said, was "packed full" of scientific equipment and supplies. Orbital ATK, the Dulles, Virginia-based company that has a contract to resupply the space station, said Sunday that the Cygnus was "in great shape" and that "everything is performing" properly. Orbital said Sunday that it "successfully launched its AntaresTM rocket carrying a CygnusTM spacecraft" at 7:19 a.m. Sunday from the Wallops facility. After a nine-minute ascent, Orbital said, the Cygnus "was successfully deployed into orbit." It carried about 7,400 pounds of cargo for the six-member crew of the space station. According to plans, Cygnus is to latch onto the station or "be grappled" about 4:50 a.m. Tuesday, Orbital said. After remaining attached for about three weeks, it will then depart, with more than two tons of disposable cargo, the company said. Under one contract between Orbital and NASA, the company is to deliver about 66,000 pounds of cargo to the station. The Wallops facility is on the Atlantic Ocean, on Virginia's Eastern Shore. On Saturday, the launch was scrubbed when a small airplane strayed near the facility. It was not clear whether anyone in the plane was aware that the delivery of pizza and ice cream into space was being blocked. Nor was it immediately known what flavors of ice cream were aboard the supply vehicle, or what toppings were on the pizza.